To book a Hotel Bordeaux in the CUB. 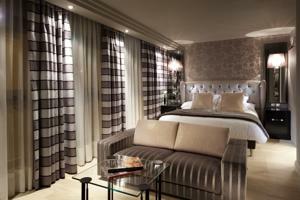 The Regent Grand Hotel Bordeaux is located in the heart of the city centre, directly opposite the Grand Theatre. 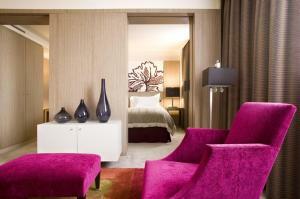 It offers free Wi-Fi and luxurious rooms and suites. Rooms at the Regent are spacious and elegant and include 19th century French furniture, LCD flat-screen TV, air conditioning and marble bathrooms. Some rooms and suites have a view of the Place de la Comedie and the Grand Theatre. 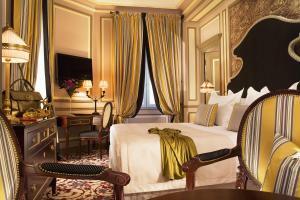 The Regent Grand Hotel Bordeaux offers quality service, a concierge and valet parking. A full buffet breakfast is served daily. Guests can relax in the Victor Bar at the end of the day before dining in the Brasserie l'Europe or the fine-dining seafood restaurant, Le Pressoir d'Argent. 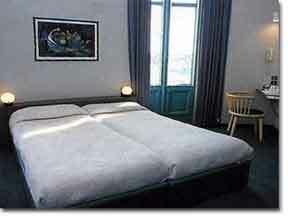 The 5-star Burdigala Hotel is located within walking distance of the historic centre of Bordeaux. It offers deluxe rooms fitted with a whirlpool bath and a body-jet shower. Its spacious guestrooms and suites are all soundproof, air-conditioned and have free Wi-Fi internet access. The gastronomic restaurant, Le Jardin de Burdigala, serves gourmet delights that can be accompanied by the best of Les Grands Crus (wines). The bar also offers a fine selection of whiskey and Armagnac. Burdigala Hotel also has an amphitheatre and four meeting rooms for up to 120 people. Private parking is available. Les Sources De Caudalie is located in the Château Smith Haut Lafitte vineyards, 20 kilometres south of Bordeaux. It features a luxury spa centre, tennis courts and an outdoor swimming pool. This 4-star hotel offers air-conditioned guestrooms and suites with free Wi-Fi, cable TV and DVD players. 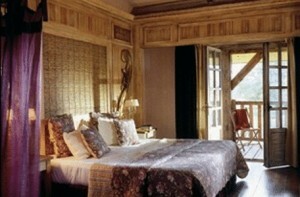 Rooms have a private terrace or balcony with views across the lake or vineyards. Les Sources De Caudalie's Spa offers wine and grape-based treatments, a Jacuzzi and hammam. The hotel has 2 gourmet restaurants and a cooking school. La Grand Vigne is a Michelin starred restaurant. 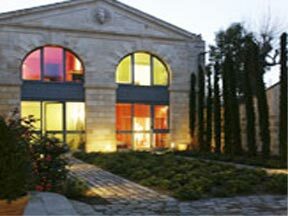 Les Sources De Caudalie also offers wine-tasting evenings. The Chateau de Lantic is located in the village of Martillac, just 10 minutes from the centre of Bordeaux. The boutique hotel offers an outdoor pool, free Wi-Fi and daily breakfast. All guest rooms at the Chateau de Lantic offer a view of the courtyard or the surrounding vineyards. Some of the suites also have a kitchenette. At the Chateau, guests can enjoy activities such as wine tasting and there are many activities in the area, such as mountain-biking, hang-gliding, tennis and golf. A wine-therapy spa is also nearby. Guests can explore the surrounding Bordeaux and Paessac-Léogan vineyards, the Chateau de Montesquieu at La Brede and the Chateau de Mauriac at Malagar. Bordeaux International Airport is a 20-minute drive away and free parking is provided. Located by Bordeaux Lake, a 15-minute drive from central Bordeaux, the stylish Pullman Bordeaux Aquitania features a gourmet restaurant and bar, an outdoor swimming pool and well-equipped, individually decorated rooms. The classic rooms blend deep red tones whilst the superior rooms are decorated in delicate beige and gold. A wide choice of whiskies, cocktails and local aperitifs are on offer in the lively hotel bar. Enjoy original variations of traditional French cuisine in the Pullman's restaurant. In the summertime you can dine on the outdoor terrace. Free private parking is provided, making it easy to explore the Aquitaine region by car. Sites such as Bordeaux's magnificent Place de la Bourse are only 6 kilometres away. The hotel offers direct access to Saint-Emilion, the Médoc vineyards, Arcachon, the beaches of the Atlantic Coast and the famous Dune du Pyla. Bordeaux's exhibition and conference centres are nearby. The multilingual staff at the Pullman Bordeaux Aquitania will be happy to help you organise your stay in Bordeaux 24 hours a day. This Chateau is located 9 kilometres from Bordeaux, between Pauillac and Saint-Emilion. It offers an outdoor swimming pool and free Wi-Fi internet access. The 19th-century estate offers luxury rooms with flat-screen TVs and large bathrooms. The Chateau Grattequina serves fresh gourmet cuisine accompanied by regional wines. Meals can be enjoyed on the terrace, overlooking the River Garonne. Room service is also available. 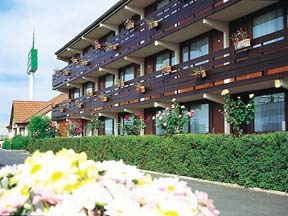 The hotel can also organise wine-tasting tours in the region. La Maison Bord'eaux is a boutique hotel located in central Bordeaux. Just a 10-minute walk from the Quinconces Tramway stop, it offers soundproofed accommodation with free Wi-Fi access. Each spacious guest room at the Bord'eaux has a private bathroom with bathrobes, which includes free Hermes toiletries. Rooms are also equipped with satellite TV and tea and coffee making facilities. A continental breakfast is available every morning, served in the Avant-Garde dining room, or in the garden during the summer. Guests can enjoy regional and seasonal cuisine in the Maison Bord'eaux's bar and restaurant. La Maison Bord'eaux organises tours of the city and the vineyards of Saint-Emilion and Médoc. Tours in English, German or Spanish are also available. The Grand Théatre is just a 10-minute walk away. Hotel Alton is set in spacious gardens and is located a minute's walk from Hôpital Pellegrin tram stop. This gives direct access to the historic centre of Bordeaux (Line A). Guest rooms at the Alton are equipped with en suite facilities, satellite TV, telephone and wake up service. Some rooms overlook the garden. Buffet breakfast is available in the mornings. The restaurant serves traditional cuisine. This can be enjoyed on the terrace in nice weather. There is also a bar. Additional facilities include on-site parking, Wi-Fi and a meeting room. The Hotel Alton is a 10-minute walk from the Chaban-Delmas football stadium. It is 5 tram stops away from the business district at Mériadeck and a 10-minute drive from the airport. Hotel du Faisan is located in front of the Bordeaux Saint Jean train station just ten minutes from the city centre, in a pleasant pedestrian square. The comfortable guestrooms are fitted with 1 to 4 single beds and have flat-screen TV and Wi-Fi internet access. Nearby you will find the tramway, private car park and several restaurants and shops. Hotel du Faisan welcomes guests 24 hour a day and is open all year long. 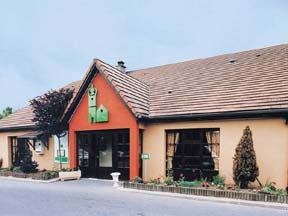 This Campanile Hotel is located in Le Bouscat district, just 6 km from Bordeaux city centre. It offers air-conditioned accommodation with a TV, a private bathroom and free Wi-Fi internet access. Breakfast is served daily and the Campanile Bordeaux Ouest - Le Bouscat Restaurant offers traditional and regional cuisine. The Campanile Bordeaux Ouest is easily accessible by the A630 and provides free on-site private parking and a 24-hour reception. 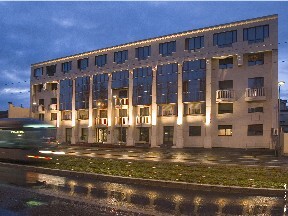 The Le Bouscat Campanile Hotel is 100 metres from the Route de Medoc bus stop, which provides a 30-minute service to central Bordeaux. 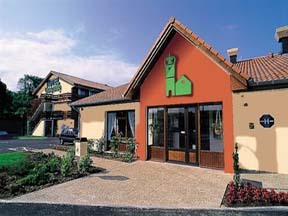 The hotel Campanile Gradignan offers good value for money and functional accommodation. Discover a European network of hotels and restaurants that offers a convivial and family atmosphere. The hotel is situated very close to the city centre and there, you can enjoy the wonderful atmosphere of a typical southern French town. On arrival, you are welcomed by a couple of caring hosts that will try their best to make your stay as pleasant as possible and ensure your room is equipped with all necessary facilities for leisure or work. Campanile Bordeaux Merignac is situated in the heart of the Merignac Hotel Center, 5 minutes from the Bordeaux Merignac International Airport. This hotel sits at the door of France's southwest region, also known as Aquitaine. It is entirely air-conditioned and features comfortable and functional guest accommodation. All rooms are equipped with modern en suite facilities, TV Canal+ and Canal Satellite and free Wi-Fi internet access. Enjoy a sumptuous buffet with dining available on the outdoor terrace in the summer months. There are also two meeting/function rooms able to accommodate up to 50 people. City of tradition and history, famous for its wine, Bordeaux is also a well known and prestigious resort, full of charm. 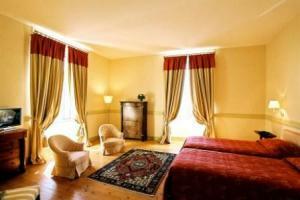 The hotel Campanile Pessac offers good value for money and functional accommodation. Discover a European network of hotels and restaurants that offers a convivial and family atmosphere. The hotel is situated very close to the city centre and there, you can enjoy the wonderful atmosphere of a typical southern French town. On arrival, you are welcomed by a couple of caring hosts that will try their best to make your stay as pleasant as possible and ensure your room is equipped with all necessary facilities for leisure or work. All the hotels detailed with video presentation, (bordeaux hotel, booking hotel, book hotel bordeaux, lodging, accomodation, hotel, Bordeaux, deals, cheap, discount), ambares-la-grave, ambes, artigues, bassens, begles, blanquefort, bouliac, bouscat, bruges, carbon-blanc, cenon, eyzines, floirac, gradignan, haillan, taillan-medoc, lormont, merignac, parempuyre, pessac, saint-aubin-de-medoc, saint-louis-de-montferrand, saint-medard-en-jalles, saint-vincent-de-paul, talence, villenave-d'ornon. This guide invite you to discover in pictures and videos the hotels of Bordeaux. To find a luxuary or a cheap, here is our selection and our partners in Gironde.